Women diagnosed with untreatable breast cancer are being given fresh hope, with the approval of two new "breakthrough" medicines for widespread use across England's health service. The National Institute for Health and Care Excellence (Nice) has approved NHS use of palbociclib and ribociclib - drugs that are shown to slow down advance cancer and delay the need for chemotherapy. Nice - which has rejected palbociclib in the past because of its high cost - has announced the new agreement after negotiating a new lower price with manufactured Pfizer. Around 45,000 women receive new diagnoses of breast cancer each year in England, and it's estimated 8,000 women could benefit from the ground-breaking treatment. Nicholas Turner, trial lead and professor of molecular oncology at the Institute of Cancer Research (ICR) in London and consultant medical oncologist at the Royal Marsden, says: "The development of this brand new class of cancer drug is one of the most important breakthroughs for women with advanced breast cancer in the last two decades. "In clinical trials, palbociclib and ribociclib have made a huge difference to women's lives - slowing down tumour growth for nearly a year, and delaying the need for chemotherapy with all its potentially debilitating side-effects. These drugs have allowed women to live a normal life for longer." 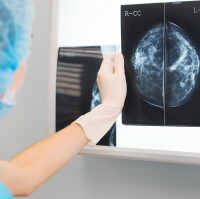 Women who are pre-menopausal and have been diagnosed with oestrogen receptor positive breast cancer after it the disease has spread will be eligible for palbociclib. Post-menopausal women diagnosed who are diagnosed under the same conditions will be treated with ribociclib, manufactured by Novartis. Both drugs work in a similar way, and are shown to hold back breast cancer for at least 10 months, affording women a normal life for longer. Even if your cancer has spread, if you have had chemotherapy in the last three months, are taking strong painkillers or have a terminal prognosis, we may still be able to cover you for holidays and overseas travel with our specialist cancer travel insurance.